Every season has its dominant colour in the UK’s wildflower calendar and the colour of Summer for me is definitely purple. A myriad of tonal variations of purple, contrasting beautifully against their accompanying greens, add so much to Nature’s Summer palette. 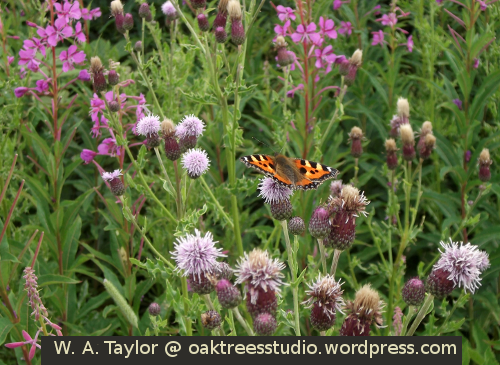 The thistle family give us some beautiful purples and with their soft tufted flowers are very popular with butterflies and other insects. 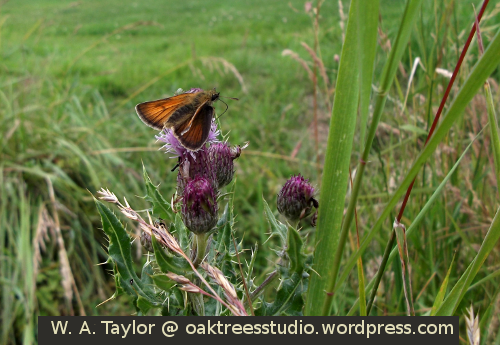 Creeping Thistle Cirsium arvense, in particular – whilst you might not want to be introducing it into your garden, we find is a very popular nectar cafe where butterflies and their ‘friends’ love to meet and linger – which is ideal for slow photographers like me! Another member of the thistle family that we find is much loved by bees and hoverflies is Common Knapweed Centaurea nigra. 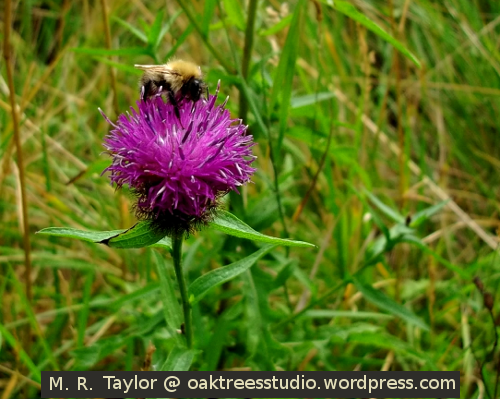 Many of our family’s ‘bee-on-a-flower’ photos feature the purple tufted flowers of Common Knapweed. 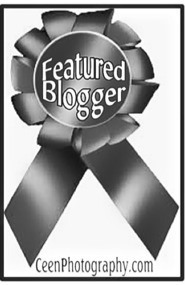 So you could say, it is popular with us too! The deep cerise-purple of this grassland wildflower is one of my favourite shades of purple. 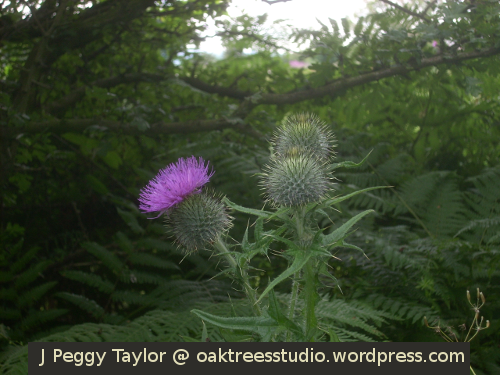 Here are two thistles that live up to their traditional spiny thistle appearance while also adding to Summer’s purple display. 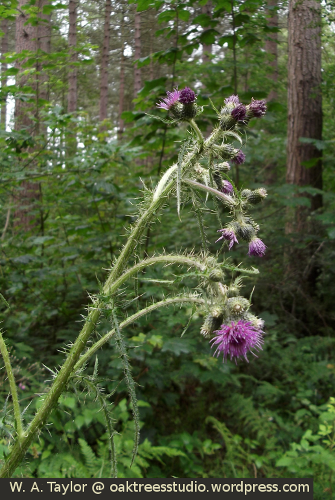 The tall, slender Marsh Thistle Cirsium palustre decorates the stream banks and other damp areas in our woods with its deep purple tufted flowers. The Spear Thistle Cirsium vulgare is a sturdy plant with grey-green stems and leaves that contrast beautifully with its purple flowers. I call it the Spear Thistle, as this is formally its correct name. But we have always called it the “Scotch Thistle”, as this flower is the national emblem of Scotland. 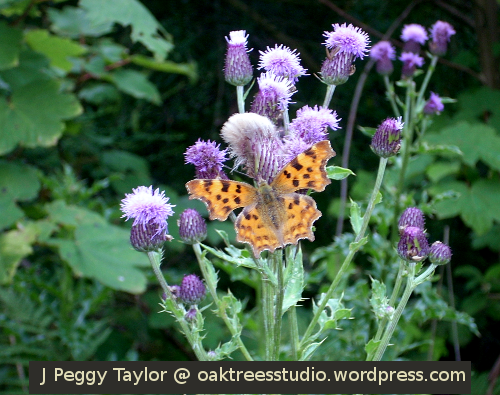 Though apparently this species is by no means the only thistle that claims to be the true Scottish Thistle! Two more purple flowering Summer stalwarts that grow quite ubiquitously in our local area are Rosebay Willowherb and wild Foxgloves. 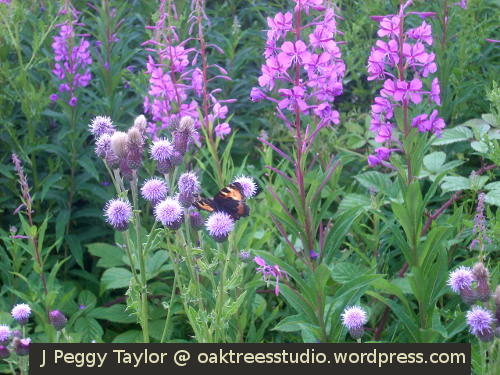 You can see the tall purple spikes of Rosebay Willowherb in the photo at the top of this post … and some more growing near the Creeping Thistle that I showed above too. 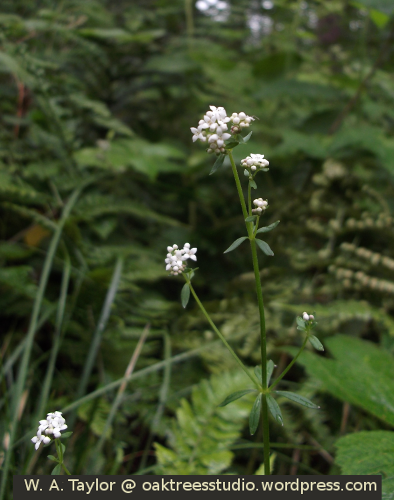 Some areas of disturbed ground can become overrun with Rosebay Willowherb – it is hardly surprising given each plant produces something like 80,000 seeds! The 20th century botanist and ecologist, Sir Edward Salisbury, noted that Rosebay Willowherb “empurpled” London’s bomb sites in World War II. 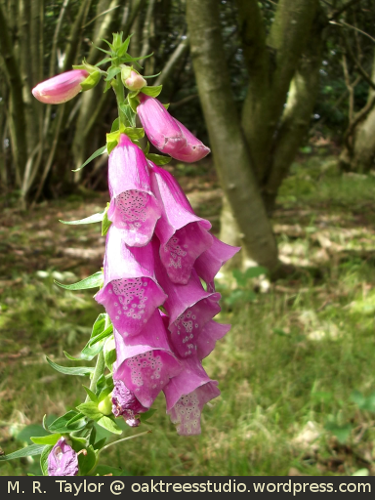 Wild Foxgloves are one of my own personal notifier species. 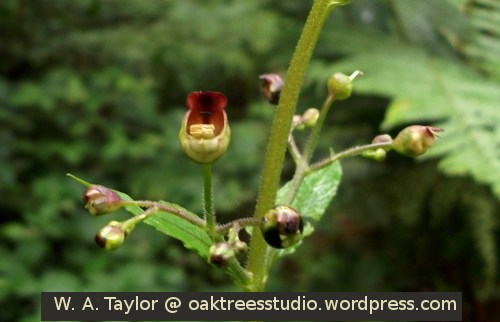 I consider them a sign of the arrival of Summer and watch out for the first ones flowering each year. 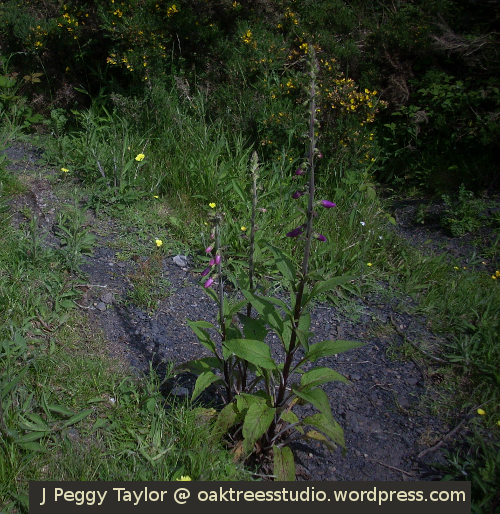 This year I spotted my first flowering Foxglove on 6th June, growing on an old coal mining spoil heap we often climb when out on one of our regular walks. 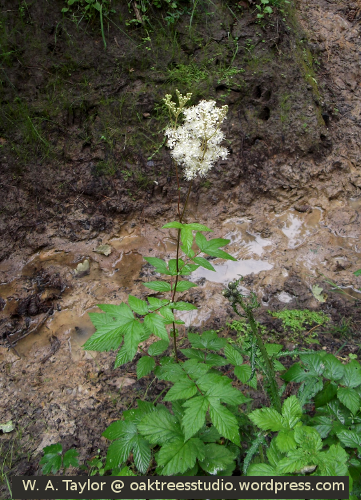 This heap supports an interesting variety of flora and fauna, despite its industrial heritage. 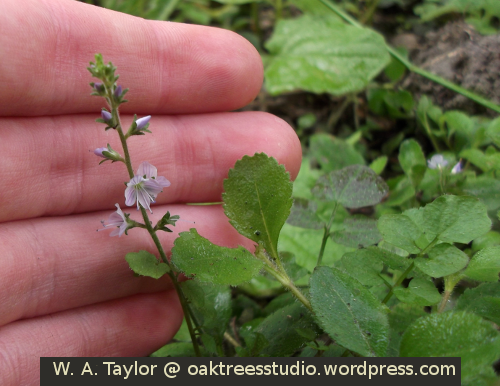 Vetches are another family of wildflowers that contribute to the Summer purples. 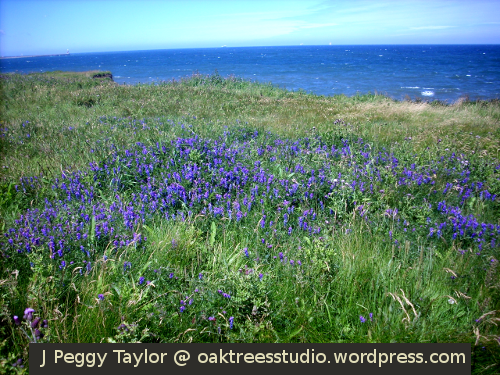 On a coastal walk recently I spotted a good number of my favourite vetch, Tufted Vetch Vicia cracca, with its dense spikes of blue-purple flowers. This cliff-top purple patch was especially noticeable. 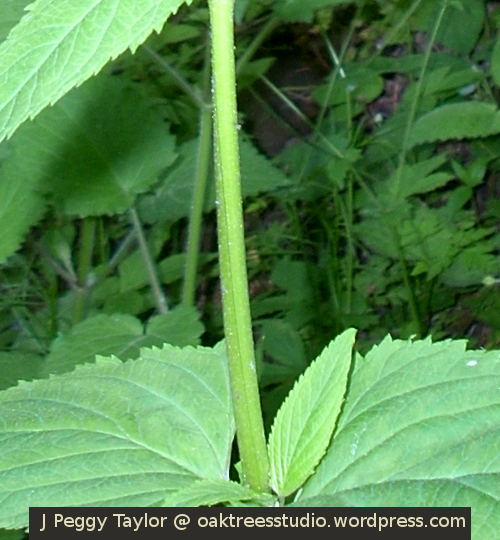 Hedge Woundwort Stachys sylvatica is a plant that you often notice with your nose before you see it with your eyes. 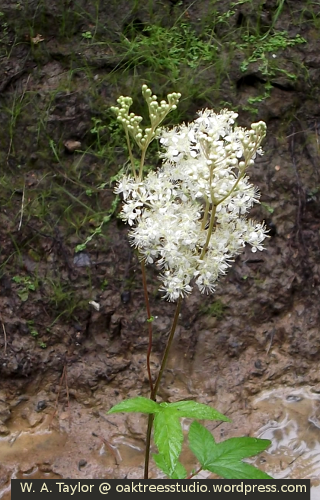 Its distinctive but not-very-pleasant smell is a common feature of the dense wayside greenery in our woods where we find it growing with many other wildflowers among the grasses and nettles. 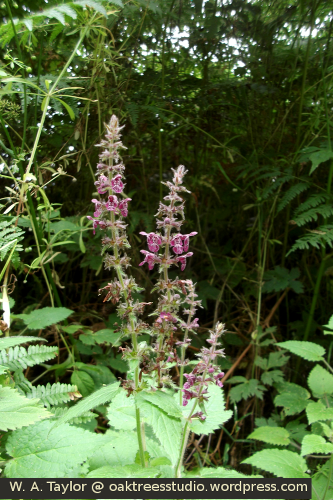 The reddish-purple flowers of Hedge Woundwort grow in a spike at the top of a single stem. 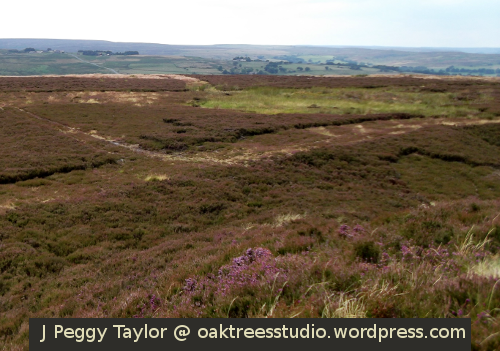 My final purple flower of Summer for this post features another landscape I love – heather-covered moorland. When the Bell Heather Erica cinerea blooms on the moorland, we can see it miles away across the valley – it literally turns the landscape purple. Here’s a closer look. 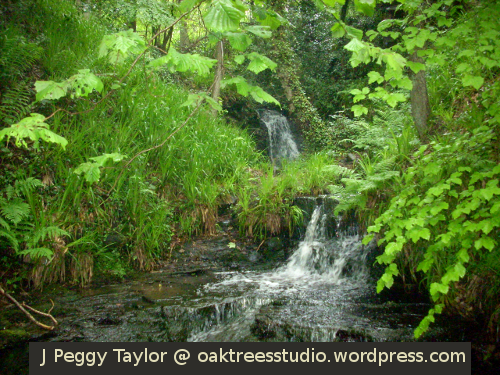 This photo was taken while we were out on a Summer hike. 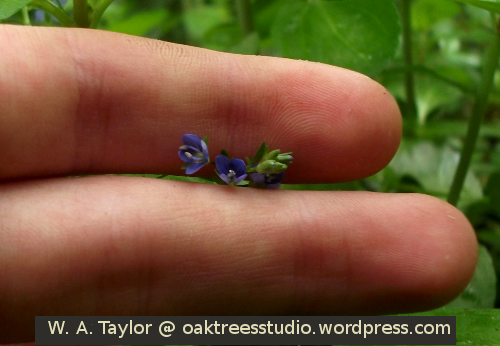 There are so many wildflowers we see that contribute to the purple of Summer. Purple is definitely the colour of Summer for me. There’s really nothing quite like cooking on an open fire outdoors – and it doesn’t matter what you cook, it always tastes amazing! What we cook is determined by how long we intend to stop. 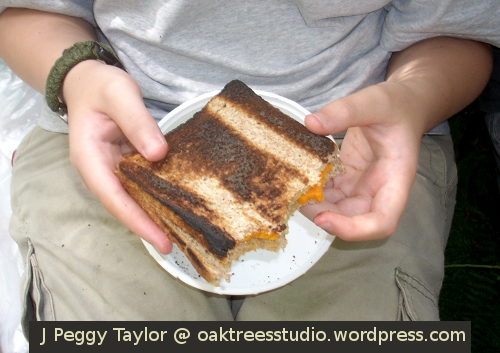 A lunch-stop campfire during a day hike is usually a simple affair, such as the toasted sandwich and baked banana you’ll see in the images below. 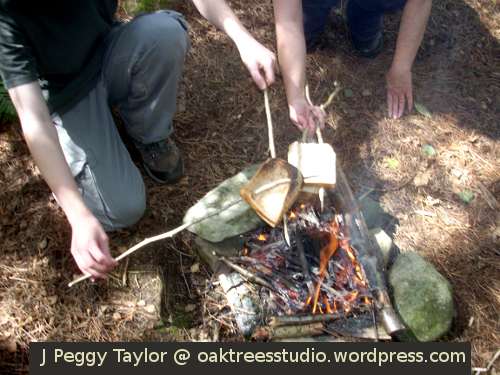 We do cook more elaborate meals too and then on other occasions it will just be toasting marshmallows for fun. 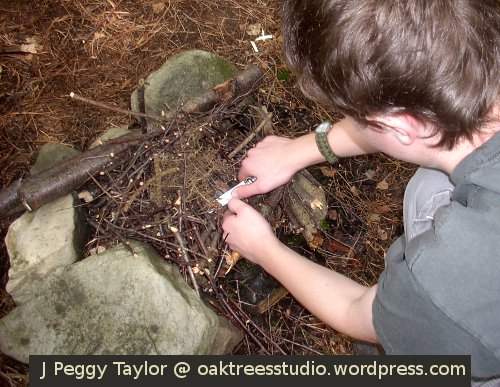 Over the years, our boys have grown increasingly adept at the various stages of fire-lighting and cooking, including safely managing the fire whilst it is burning and ensuring the fire is completely out and cold before we leave. Nearby to one of our favourite campfire spots there are some blackened trees that served as a prompt for an educational discussion on the dangers of fire, especially in remote places. I will never forget the Christmas our two younger sons got their firesteels! Light my Fire fire steels are easy to use. Believe me, a couple of hours on a Christmas morning is all it takes to get the knack!! 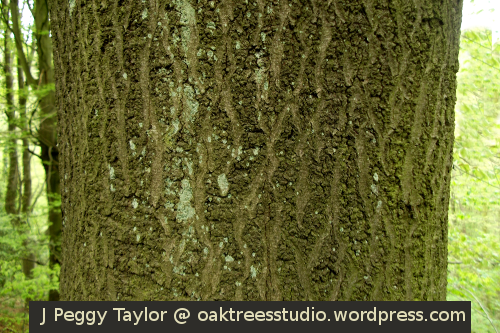 Then that snowy Christmas afternoon was spent out in the woods trying hard to put the new skill into practice. There’s been a lot more practice since then, though more often in Summer than Winter. 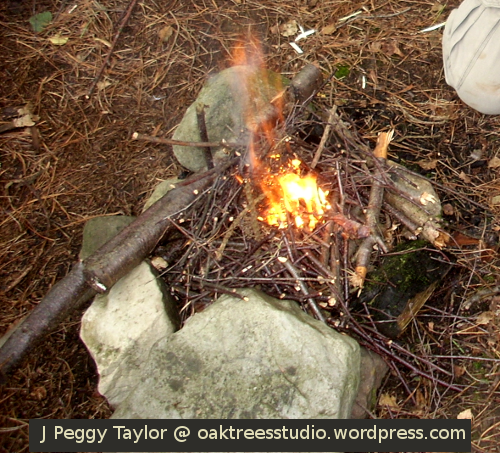 Out on Summer hikes or on lazy days at our favourite spots in the woods, cooking on a campfire is always fun. 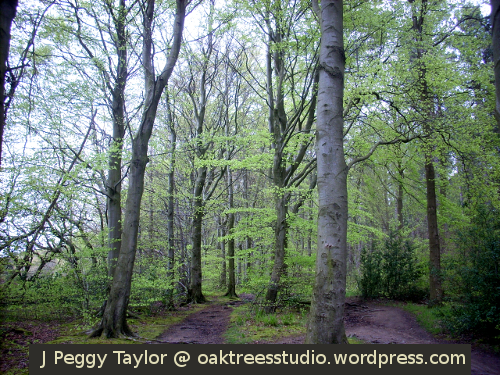 This little photo story tells the tale of a lunchtime stop when we were out on a woodland ramble last Summer. 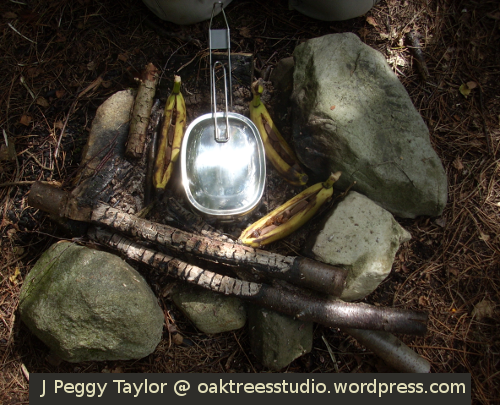 Baked Bananas with chocolate and raisins have become something of a tradition for our family campfire cook-outs. 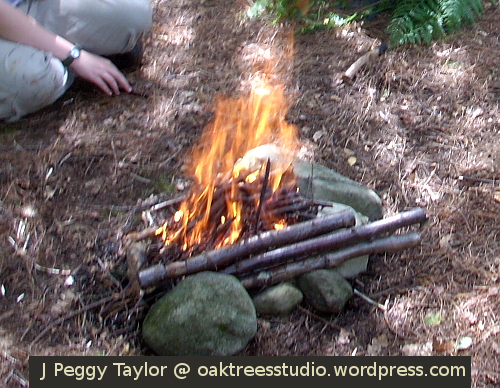 They are very simple to prepare right there by your campfire so it’s a fun dessert for children to make. Start by slicing lengthways into the inner curve of the banana, being careful to leave the skin of the outer curve of the fruit intact. You need to end up with a banana boat joined at the base, rather than two halves. Now, stuff the 3 squares of chocolate into the slit you have made and finally stuff in the raisins between the chocolate squares. That’s it! Done! Now your banana is ready to go in the embers of the fire, just as you can see in my photo above. You don’t want any flames on your fire for cooking the bananas – just some nice warm embers. If it’s a little windy, to keep the wood ash out of the bananas, we wrap them in Dock leaves and pin them with a peeled green stick. But mainly we just sit the bananas in the embers to cook. How long does it take to cook? HA! I can’t tell you exactly, because it will depend on how much heat you have there. But you’ll know your Baked Banana is ready to eat when you can see the chocolate is softened. Ours usually take around 10-15 minutes, depending on how much the embers have cooled. Air-pruning plant pot success! 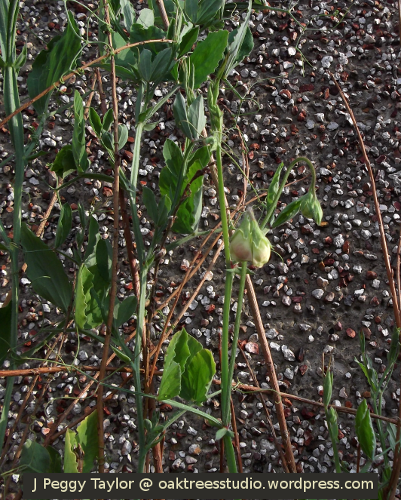 My Sweet Peas are flowering! 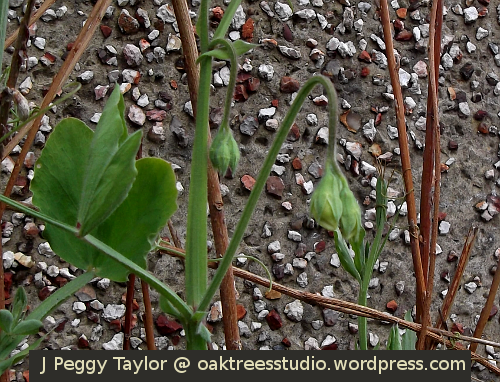 When I sowed my Sweet Peas in their upcycled air-pruning plant pots, way back in April this year, I wasn’t sure how well my plants would grow. I’d never experimented with air-pruning plant pots before so this was a whole new experience for me. 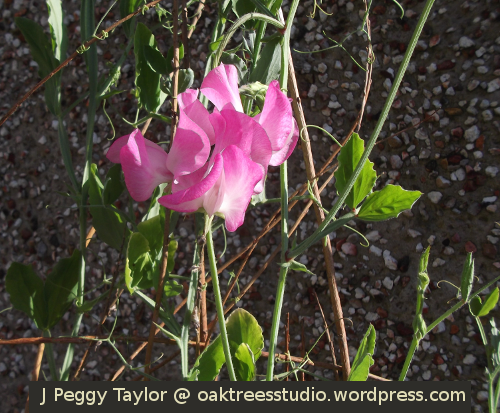 Despite being in somewhat smaller pots than would normally be used, the Sweet Pea plants I’d hung on my yard gate have still grown to their full height – the fully grown plants are now 175cm (69″) tall. 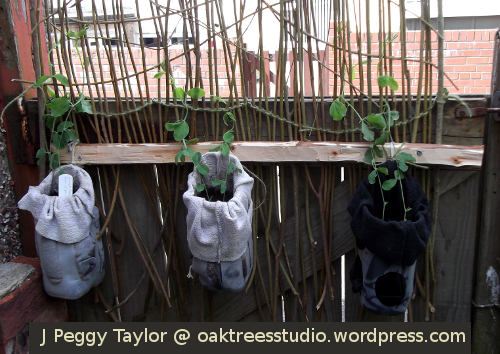 The Sweet Peas are supported on one of the willow and jute garden screens I’d designed and created for this purpose. This project was part of my idea to expand the growing space in my back yard by vertical gardening. 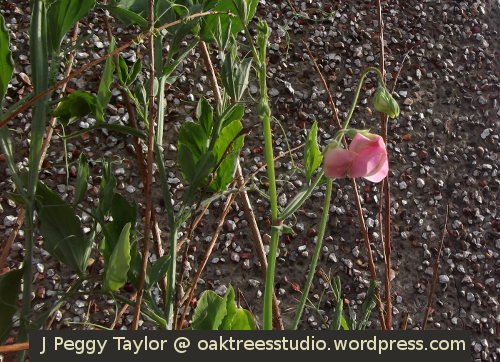 Looking at the other plants along the yard gate that are now budding, we have some creamy white flowers and some deep crimson flowers, so with the pink flowers too, that’s going to be a lovely range of colours growing together. The raspberries are ripening! The sun is shining! … and so fruit-picking time begins for 2014! 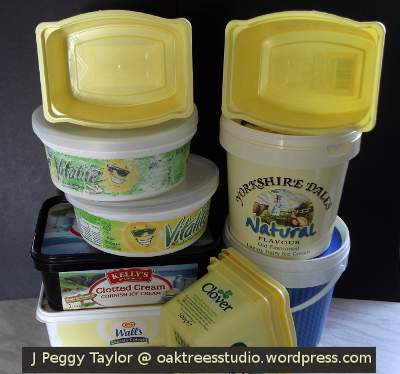 But before the fruit-picking can begin, the first job is to dig out my old and trusty recycled containers. There are those that I like to take out with me for holding the berries whilst I’m picking. Then there are those that fit together well for storing my fruit in the freezer. My many containers come in useful different shapes and sizes. It seems WordPress must have read my mind this week when choosing “Containers” as the topic for the Weekly Photo Challenge! I love foraging for wild fruit. We spend many happy Summer hours fruit-picking. 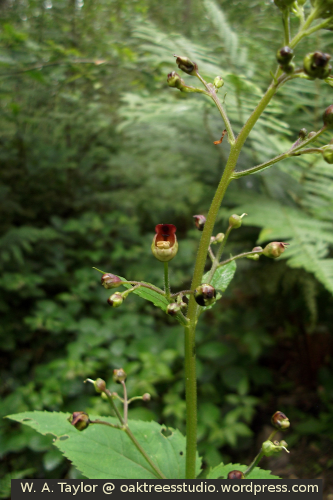 We’re lucky as we have a good variety of wild fruits growing nearby to us. For me fruit-picking is such a calming and tranquil activity – a chance to slip away from busyness into my own little world for a short time. 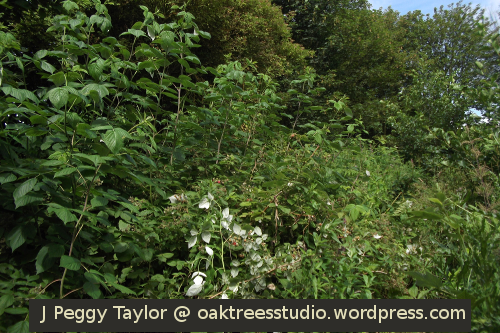 The raspberries are the first of our fruits to ripen, so I’m usually picking them by mid to late July. 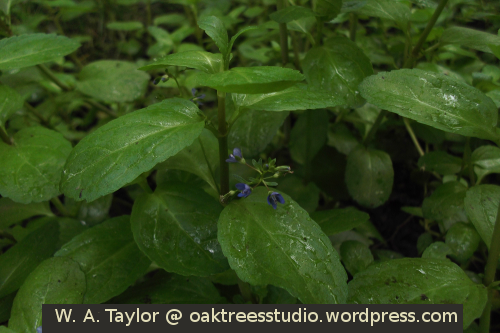 They grow in a rather overgrown but sheltered spot, which is lovely in the warm sun. I get so absorbed in seeking out and picking the fruit that I always end up with more than a few nettle stings when I’m finished! 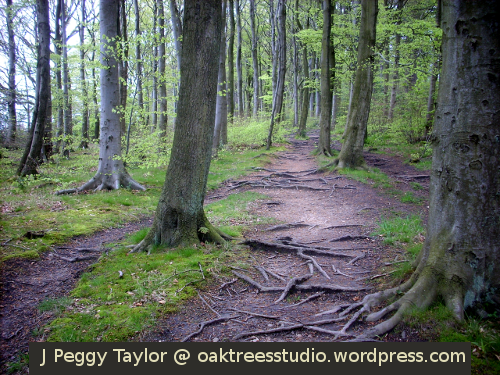 ‘No pain, no gain’ … so the saying goes! Our first raspberries of 2014 – growing in their quiet, sunny corner. 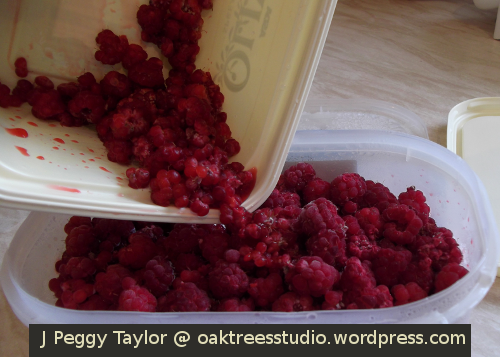 As raspberries are rather soft and easily squashed, I tend to pick them in small batches. 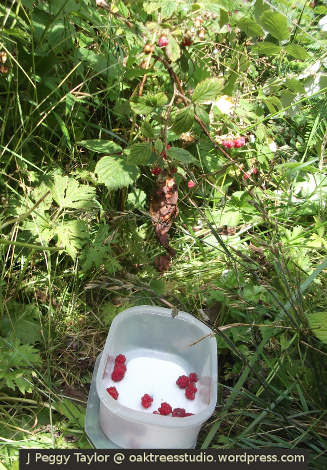 I take a shallow recycled tub to hold the raspberries – I’ve had some of my foraging tubs for years, but they are ideal for this job. When I return home, the raspberries are washed and checked over. The berries are either eaten immediately for quick and easy desserts or I put them into a container and place them in the freezer. Sometimes my sons come along to help with the picking, then even more of the berries get eaten immediately! 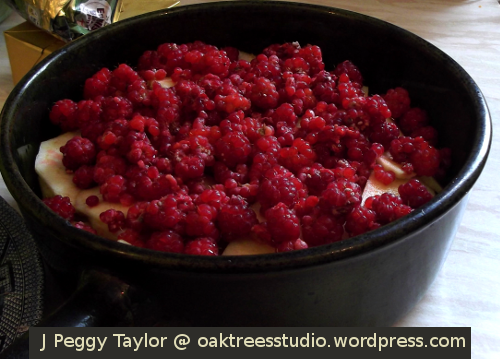 … including before the raspberries actually arrive home, as you might imagine! Over the next few weeks more batches of raspberries will be picked and frozen. As I gradually amass a good quantity of berries in the freezer, we begin watching out for the apples ripening. 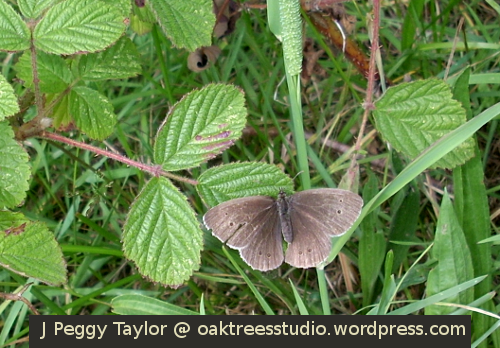 They also grow close by to us, so we’ve not far to go to keep checking them. … and then it will be time for jam-making to begin! 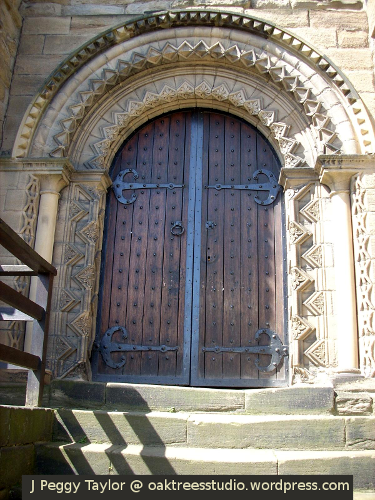 The landscape of North East England is rich in relics from past eras. The images I have chosen to share for this week’s WordPress Photo Challenge range from relics of the Romans and the Normans to reminders of the English Civil War and the wonders of Victorian engineering. The bridges you can see in the image above are both ‘relics’ that were designed by giants of Victorian industry on Tyneside. I talked a little about these men in my previous post. Despite being relics of a bygone age, these two bridges remain in daily use. The Swing Bridge doesn’t swing open as often as it once did for ships to pass through but the roadway across it is still a popular route across the Tyne. After being closed for three years (2005-2008) for restoration work, the High Level is less used than it once was. The roadway on the lower deck of the High Level Bridge now only carries public transport but the two-track railway on the upper deck remains in regular use. The site of the Swing Bridge also very closely marks the line of older Tyne crossings including the Roman bridge. Pons Aelius was named after the Emperor Hadrian whose wall marking the northern frontier of the vast Roman Empire originally started at this bridge before it was decided to extend the Wall along the north bank of the River Tyne to Wallsend. The Castle Keep, founded by Henry II in 1168, is regarded as one of the finest remaining examples of a Norman Keep in Britain. Standing on a useful defensive position above the river, the Castle Keep also stands on the site of previous Roman fortifications. The first Roman fort on Hadrian’s Wall was located here. Underneath the stone-built railway arches immediately below the Castle Keep, you can still find some of the Roman foundations marked out. 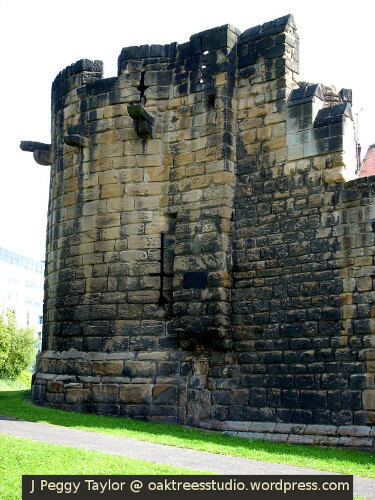 To the west of the city centre you can visit the remains of the Newcastle’s town walls. These historical relics are known as The West Walls. 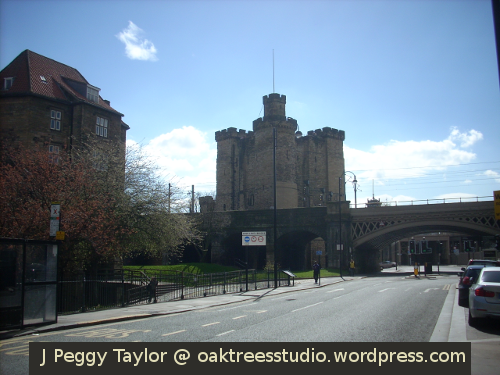 The town walls are first mentioned in a charter given by King John in 1216, though it is believed that Newcastle was walled from the same time that Robert Curthose built his motte and bailey on the site of the Castle Keep (around the end of the 11th century). Newcastle’s wall’s were renowned for their strength. The nineteeth century historian, Eneas Mackenzie, tells us, “These famed walls were twelve feet high, eight feet thick, and strengthened by a wide fosse.” As Newcastle was on the ‘frontier’ between England and Scotland, strong walls were needed in those days of frequent border warfare! 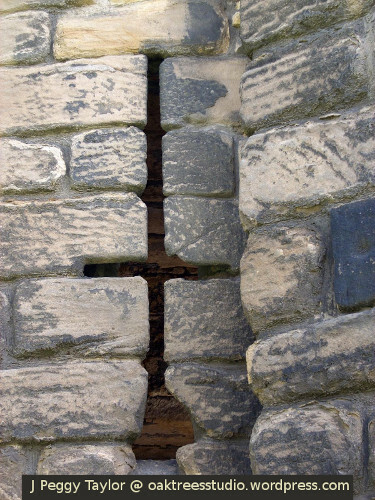 This extended arrow slit detail from the Heber Tower shown in the image above is another relic of Newcastle’s battle-scarred past. During the English Civil Wars, Newcastle was beseiged for a good part of the year 1644. The Royalists of Newcastle, fighting from the town walls, had evidently adapted the original arrow slit to allow their musket barrels to fit through. 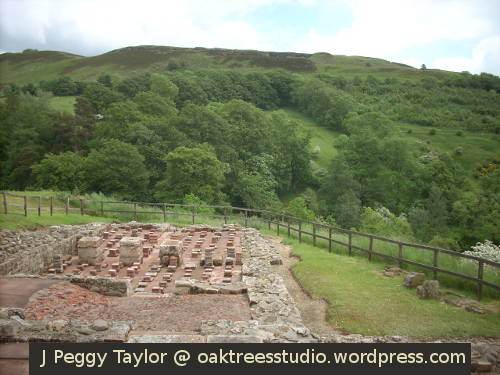 Moving from town to country, but staying on the banks of the Tyne – this Roman relic is the bathhouse at Chesters Roman Fort and is regarded as one of the best preserved Roman bathhouses in Britain. Chesters is one of the Hadrian’s Wall forts and lies about five miles north of the town of Hexham on the picturesque North Tyne river. Hadrian’s Wall runs along the ridge. Hadrian’s Wall is a World Heritage Site and the adjacent Hadrian’s Wall Path is a National Trail that runs the 73 miles from Wallsend in the east to Bowness on Solway on England’s west coast. With Circles and Curves as this week’s theme for Cee’s Fun Foto Challenge, I decided to share some of my images of Tyneside’s famous curved landmarks – from ancient to modern. This Norman castle keep was built in 1178 on the site of the original wooden ‘New Castle’ built by William the Conqueror’s son, Robert Curthose, in 1080. The iconic Tyne Bridge in the foreground, then the Swing Bridge, the High Level Bridge and the Queen Elizabeth II Tyneside Metro bridge. 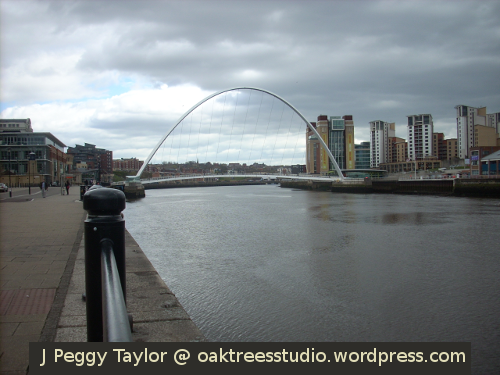 Along just a short stretch of the River Tyne between Newcastle and Gateshead there are no less than seven bridges crossing the river! You can see four of them in this picture. 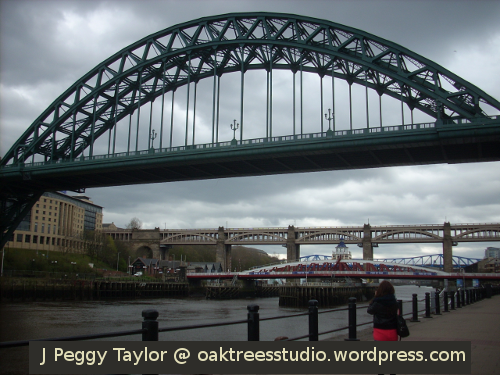 With its curved steel arches, the iconic Tyne Bridge is often used as the symbol of Tyneside. This bridge opened in 1928 and was much needed at the time for the increased road traffic between Newcastle and Gateshead. The Swing Bridge, can turn 90 degrees on a central pivot to open for larger ships to pass upriver. It was designed by the Victorian engineer and inventor, William Armstrong, to allow ships to reach his engineering works. This bridge is built on the site of the original river crossing point. The Roman bridge, Pons Aelius, was the original starting point of Hadrian’s Wall – Pons Aelius translates as ‘Hadrian’s Bridge’. Opened in 1849, the High Level Bridge and is another piece of Victorian engineering, designed by the famous railway engineer, Robert Stephenson. This double-decker bridge carries the railway on its upper deck and the road on the lower deck. The Queen Elizabeth II Tyneside Metro Bridge opened in 1981 and carries the region’s light railway over the River Tyne on its journeys through Gateshead to South Shields and Sunderland. 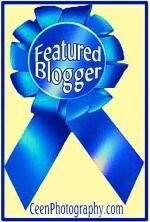 The award-winning Gateshead Millenium Bridge is the newest bridge across the Tyne. This bridge can be opened by a tilting mechanism to allow river traffic through. 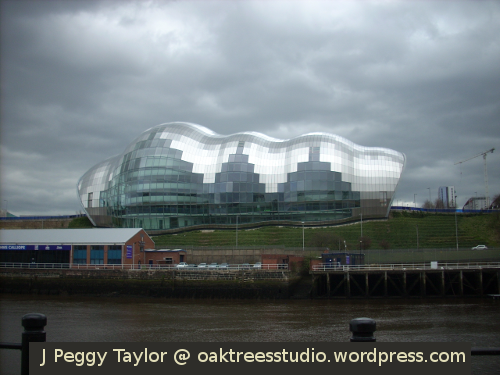 The Sage, Gateshead (as it is known) was designed by Lord Foster. The curved steel and glass structure enhances acoustics for this world class music venue. … and in case you are wondering, yes, they do clean all of those windows! … by abseiling down the outside!